Norma's on a diet.Trouble is, all she can think about is food but she's got some devilshly delicious stories to tell. Trailer Park of Terror's anthology series will keep you up at night. . 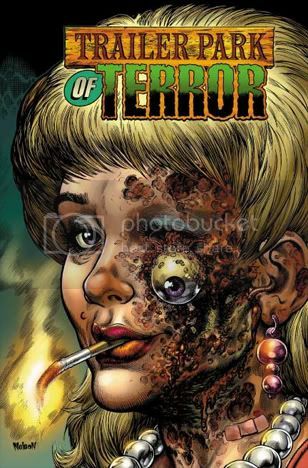 These macabre tales are interwoven with stories from the oh so hot- yet oh so dead- Queen of the Trailer Park, Norma.